Kashmir is one of the most beautiful hill stations in India, known as "Switzerland of India", inspired by its charming beauty the city has attracted lots of people since old times. Mughal emperors were so impressed by its unmatched beauty that they spent their fortunes in making lavish gardens here and even today you can feel that Mughal influence on these gardens. Kashmir has got its biggest acknowledgement as “A Paradise on Earth”. Its truly a paradise, you will not find a single person, who has spent some time in Kashmir and not fallen in love with the city. Every year it witnesses lots of tourist from all over the world, who come to explore the stunning valleys, lovely lakes, captivating snow-caped mountains, amazing gardens and beautiful historical monuments along with the different adventure sports such as water-sports, trekking, outdoor camping etc. However, civil unrest is a concern in Kashmir now and has impacted the tourism a lot, but it is believed that the peace has been restored and travellers are returning to the area. How safe it is for travellers? The first question that strikes everyone’s mind while planning a trip to Kashmir, “How safe it is to plan a trip to Kashmir?” It is true that the paradise has been scarred by unfavourable past, but its undying beauty attracts lots of bag-packers despite the unrest and curfew. People doesn’t want to lose the opportunity to visit this heaven on earth. It is important to understand that Kashmiris have some problems with Indian administration, but not with the people, in general Kashmiris are very polite and hospitable, also tourism is an important source of income for them. They generally go out of the way to make the tourist feel safe, tourism in Kashmir aren’t intentionally harmed or targeted. Now the question is should you plan a trip to Kashmir? It is said that the security is been increased and the police is putting an extra effort to ensure the safety. Kashmiris are also inviting the tourists and asking them not to be afraid. But still there is a risk of getting caught in the fight, accustom substantial military presence in Kashmir, repetitive shutdowns and curfews can be troublesome. On the other hand, it is argued that the attacks are isolated and there are possibilities that the ground reality isn't necessarily as bad as portrayed. The situation and security may depend on what tourists do and where they go. Hence, it’s your comfort and decision whether to book Kashmir tour packages from Pune or not. It is safe to travel but you should be little careful while on your voyage because of the ongoing tensions. Make sure to do the bookings in advance, it is one of the top things to do in order to make your trip safe. Booking your hotel in advance will give you a safe option to stay because in peak seasons its crowded, so there are chances to end up wasting your time and money in search of a good hotel, if not booked in advance. 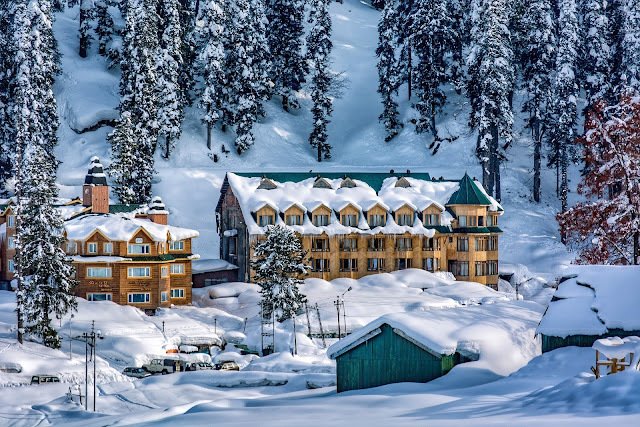 Research is a good habit whenever you plan a trip, but when we talk about travelling to Kashmir you should be smart enough to research for a safe hotel, before finally booking a room. If you are travelling with family be extra careful to choose the hotels and do check the reviews on different sites. Travelling is easy in Kashmir if you opt for a rented vehicle, taxis or rickshaws, talk to your hotel’s front desk they will help you out. Also, the owner of your house boat can help you in hiring a bike or taxi, whatever you prefer. It is also advisable to negotiate and fix the rate before you start your travel. Hiring a guide will help you, the guide will take you to the major attractions around the city and the other nearby destinations too. In peak season they hike their prices so again negotiate and fix the rate in advance. However, guides are helpful in knowing the history of the places, but it totally depends on your preference to hire or not. 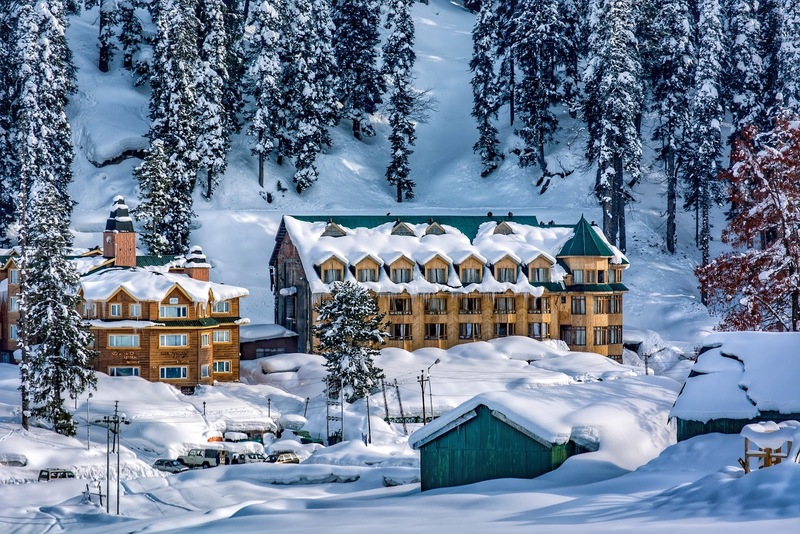 A vital think to keep a check before you plan your trip to the beautiful heaven on earth because the pre-paid connections registered outside of J&K does not work in Kashmir, also you are not even allowed to buy a new pre-paid number from the city. So, it is better to be prepared or arrange a post-paid connection before travelling to the city and keep your family updated about your locations and travel plans. It’s feels good to connect with the locals when you travel. Making some new friends will help you in knowing the real culture and history of the place. They are staying here from long, so they will always have a better understanding of the situation and if you will be caught in any trouble, they will be more than willing to help you. Its beautiful city surrounded by the beautiful nature, lovely lakes and petit villages, but due to the unrest in the city it is not advisable to walk or roam around in night, so void that late night cosy walks. Enjoy the shopping spree, eat the local food, visit the lovely lakes and beautiful destinations but make sure to be back to hotel in time. We can’t sum up the enchanting beauty of Kashmir in words, the mysticism, charm of the valley and spectacular beauty of its surrounding landscape has the power to ignite the poet within you. Trip to Srinagar can be clubbed with Sonamarg, Baltal, Katra, Jammu, Pahalgam etc also if you have time and budget you can include Leh and Ladakh trip too. But keep few important things in mind before booking Kashmir tour packages from Pune. Remember that the Safety is subjective here and it will totally depend on what you do and where you go. So be careful of your every step.